Jermain Defoe is relishing life with Sunderland, after picking up a match-winning hat-trick in last night’s Premier League survival six-pointer at Swansea City. 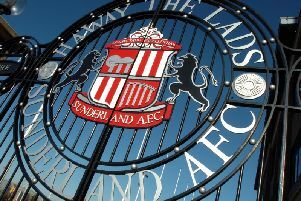 The 4-2 victory, Sunderland’s first win at Swansea since 1963, lifted the Black Cats above Newcastle into third-bottom spot, now just a point off safety. Next up is Saturday’s trip to Tottenham before another huge clash with relegation rivals Bournemouth on January 23 – facing two of Defoe’s former clubs. Defoe said: “The Tottenham and Bournemouth games are huge – on a personal note it will be special going to the Lane. “We go there confident though. With this weekend’s game against Spurs a lunchtime kick-off, Sunderland have no time to bask in this win. “You don’t want to be down there, you’d love to be in a comfortable position,” added Defoe when asked whether the club’s experience in battling the drop is a positive. “But in the position we are, you have to raise your game. “It is a lot of pressure, the rewards are big to stay in the Premier League. “We just keep fighting - we don’t have a choice with the manager we have! “The manager has always been calm though. He gives us the basis to go and win games. “We have a strong squad and everyone is positive.